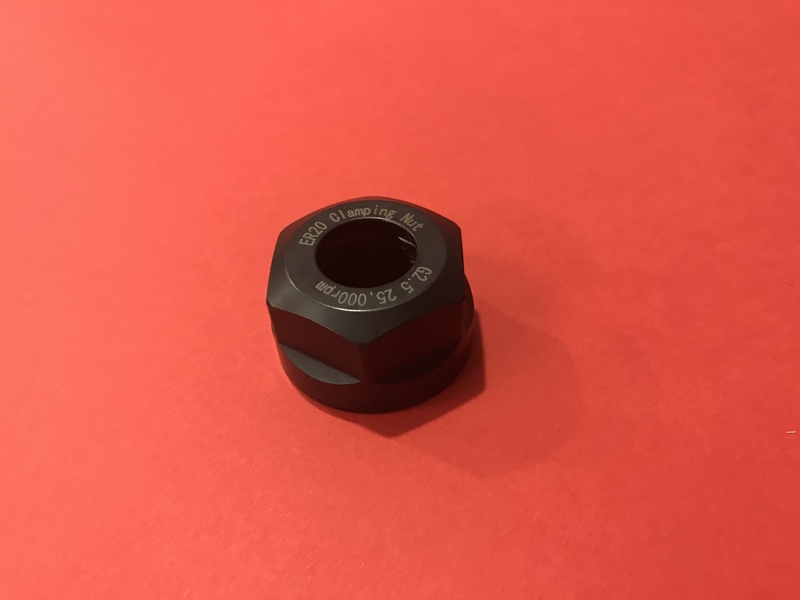 Our balanced ER-20 collet nuts are precision machined and are compatible with ER-20 Collets. Having a nut for every collet allows for more convenient tool changes without the need to exchange collet nuts. These work perfectly with our 2.2 kW Plug and Play Spindle / VFD System or similar tools that accept standard ER20 collets. This product was added to our catalog on November 20, 2017.